Kylan is using Smore newsletters to spread the word online. The Election of 1960 is known as the closest election in American history. 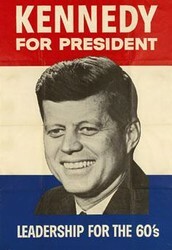 Richard Nixon was the Republican candidate while Kennedy was the Democratic. Many questioned Kennedy in the election because he was a Catholic Candidate ,mainly in the Bible belt south. To end these religious sessions Kennedy announced that he will be separate church and state. By the end of the election Kennedy won 49.7% of popular vote while Nixon came up short with 49.5% and the Electoral College named Kennedy President ,even though Nixon won over more states. 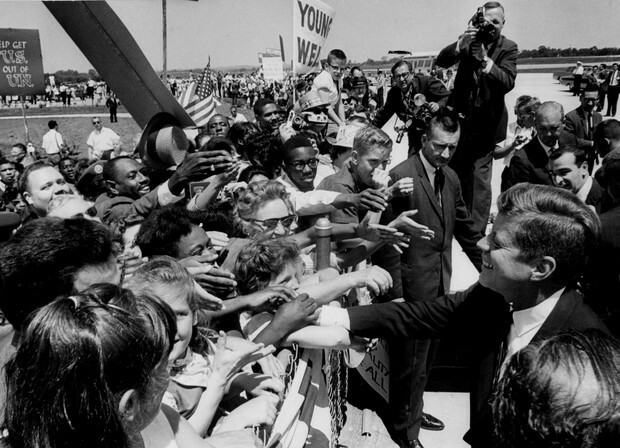 The New Frontier was the legislative program laid by Kennedy, which new economic and social legislation like housing, and new minimum wage laws. The Peace Corps. was also formed in order to help underdeveloped countries. The New Frontier was a start to domestic problems in places other than America. 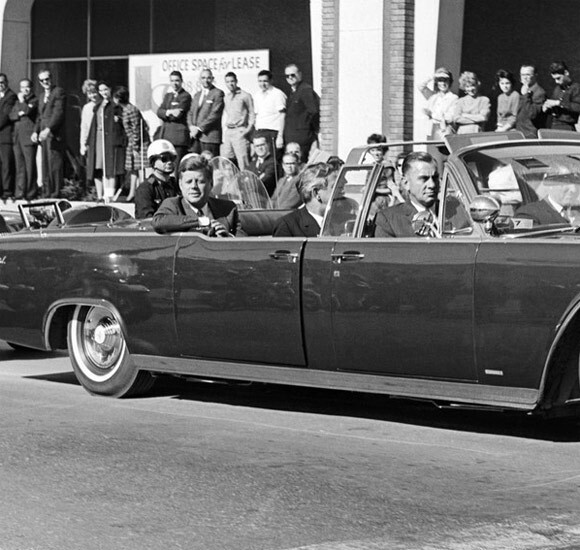 Kennedy used his New Frontier as a way to increase new technology. “Pay any price, bear any burden, meet any hardship, support any friend…to assure the survival and success of liberty ”. Kennedy continued Eisenhower's progress in supported South Vietnam's government Diem. Kennedy also believed in the domino theory. If South Vietnam fell to communism then so would the other states, so Kennedy tried his best contain communism. 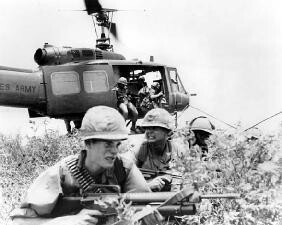 In 1961 Kennedy decided that it would be best to help South Vietnam increase their army size. Kennedy also began the Strategic Hamlet ,but it was proved unsuccessful because it actually drove southerners to North Vietnamese side. Kennedy's response of the southern peasants led him to sending 12,000 military advisers total to South Vietnam in 1962. After Buddhist monks began committing suicide and Diem's government began to encourage them. Kennedy came to the conclusion that Diem was not fit to unite Vietnam and sent the CIA to overthrow them. Diem was assassinated in November 1963. In 1962 it was spotted that the Soviets were building nuclear missiles in Cuba. To prevent anything from happening Kennedy sent a naval blockade to Cuba. Seeing tension rising the Soviet Union and America made a pact. 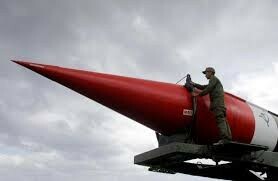 Soviets would dismantle the nuclear sites if the U.S. would take down their missiles in Turkey and not take over Cuba. The Cuban Missile Crisis ended after this pact was settled. After World War II Germany was split into two divisions East Germany and West Germany. East Germany was controlled by communist powers, in which most did not approve so the Eastern Germans moved to West Germany. 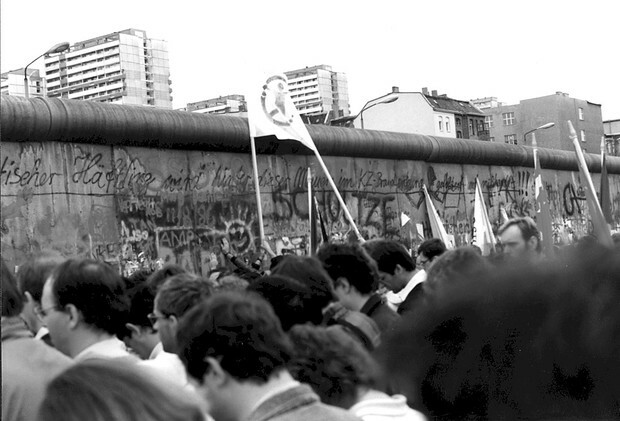 In order to prevent east Germans from moving west the Soviet Union Built a giant wall called the Berlin Wall. By the 1960's civil rights' was a major concern. Many protests emerged to change the laws of segregation and end the discrimination against blacks. Kennedy got involved in the civil rights' movement when he personally helped Martin Luther King Jr., an African American civil rights' leader, safely return home after being jailed for a peaceful protest. Kennedy benefited from helping Dr. King because after Dr. King's return, in the election of 1960 70% of African Americans voted for Kennedy. In 1961 Kennedy then began to appoint African Americans to high administrative positions to increase the civil rights' movement. Kennedy then desegregated schools and started a committee. He began the Equal Employment Opportunity Committee to give African Americans better jobs. In 1963 Kennedy was assassinated in Dallas ,TX during a parade to gain support in the upcoming election. He was shot twice in a car by Lee Harvey Oswald and Pronounced dead at parkland Hospital. Since Kennedy's term ended short, vice president Johnson took over.